MICHAEL IS LIVING PROOF THAT WITH ENOUGH MOTIVATION AND HEART, ANY FEAT CAN BE ACCOMPLISHED. IN 2010, MICHAEL DECIDED TO SHARE HIS PASSION FOR MUSIC AND OPENED OUT OF THIS WORLD MUSIC SCHOOL. INSPIRED FROM TEACHING A CLOSE FRIEND’S KIDS TO PLAY THE DRUMS AND GUITAR, HE DISCOVERED HIS TRUE CALLING AND ABILITY TO CONNECT MUSIC TO YOUNGER MINDS. Michael’s Wife, Reema is the administrator for Out of this world music school and the creator of the beloved teepee. 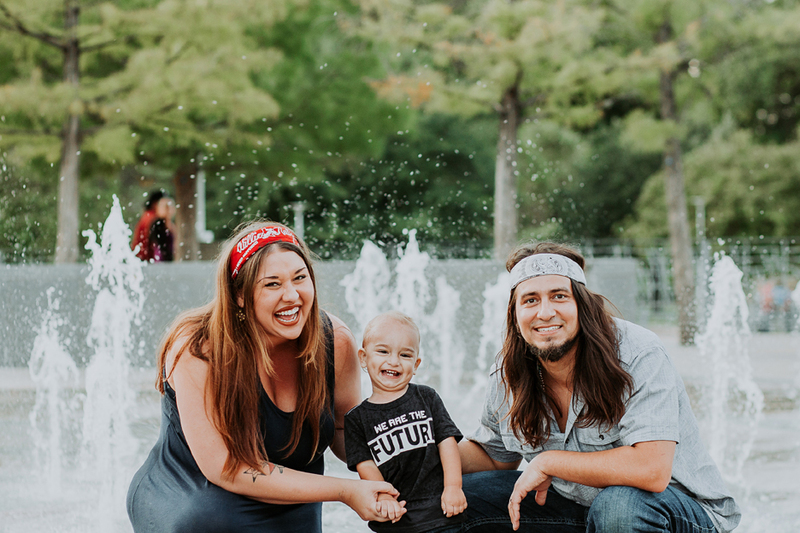 Michael and Reema welcomed their son, Atlas, into the world in 2017 and they warmly invite you to join the musical family of Out of this world music school.